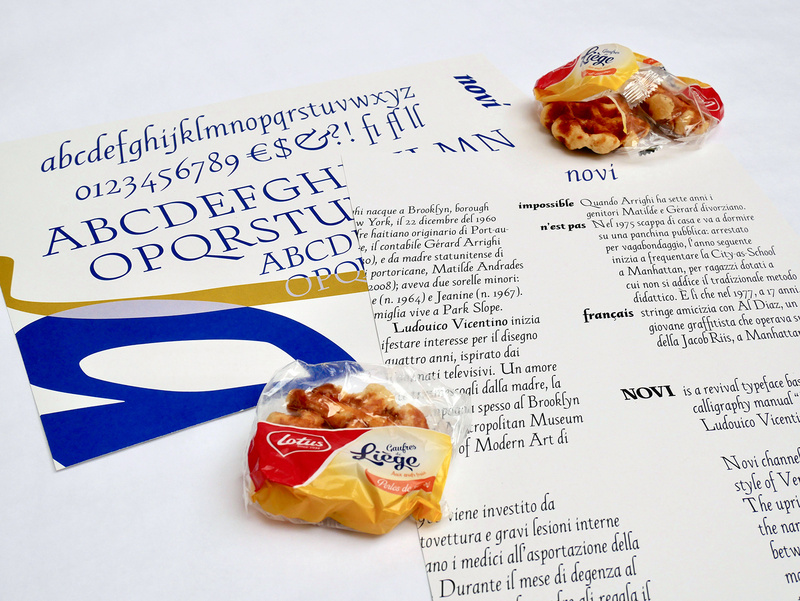 Novi is a revival typeface based on the italic calligraphy manual “La Operina” by Arrighi made in beginning of the 16th century. 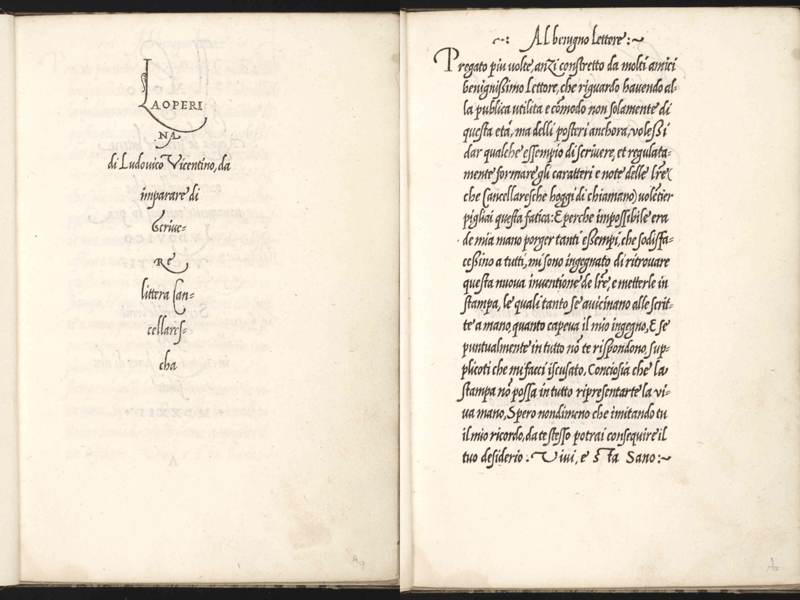 It is a woodcut-printed manual that allowed people to learn how to write the “chancery cursive”. 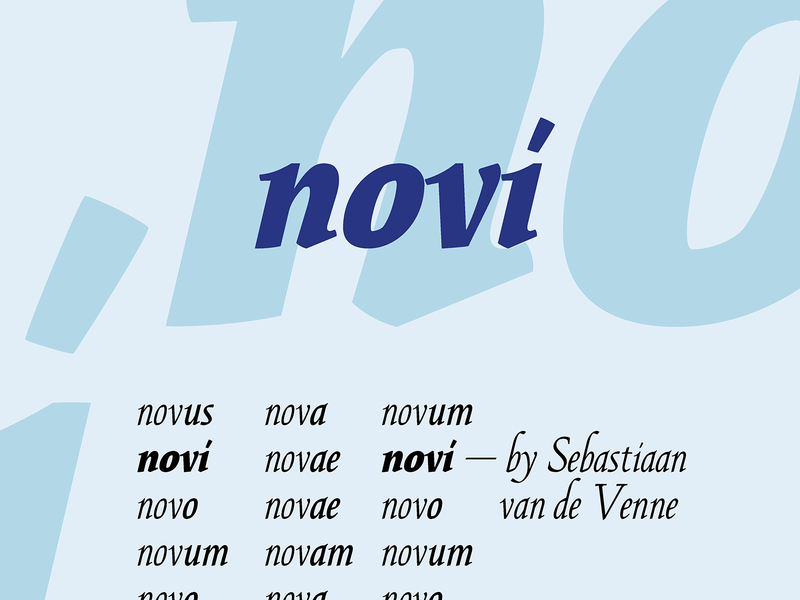 Novi channels the fluent and rhythmic style of Venetian italics. 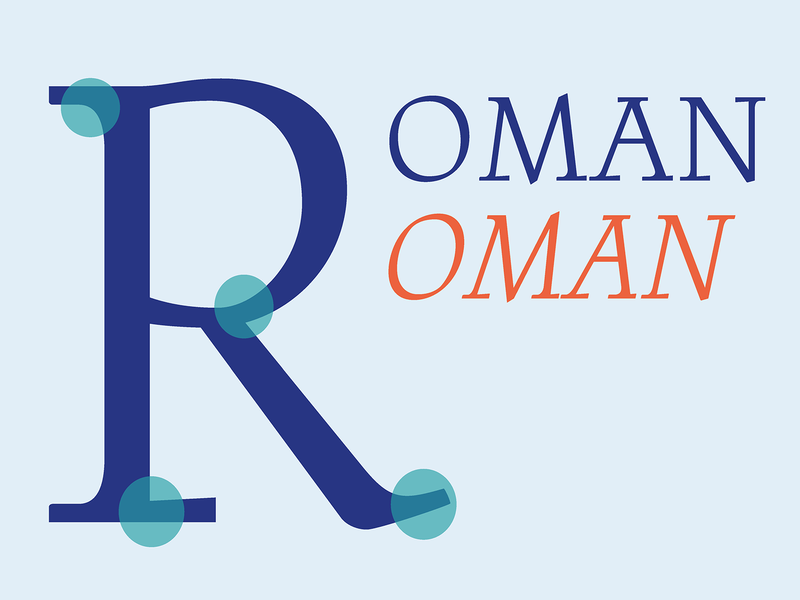 The upright motion together with the narrow characters create a tension between the rounded, angular and modulating shapes found throughout the typeface which gives Novi it’s own unique style. 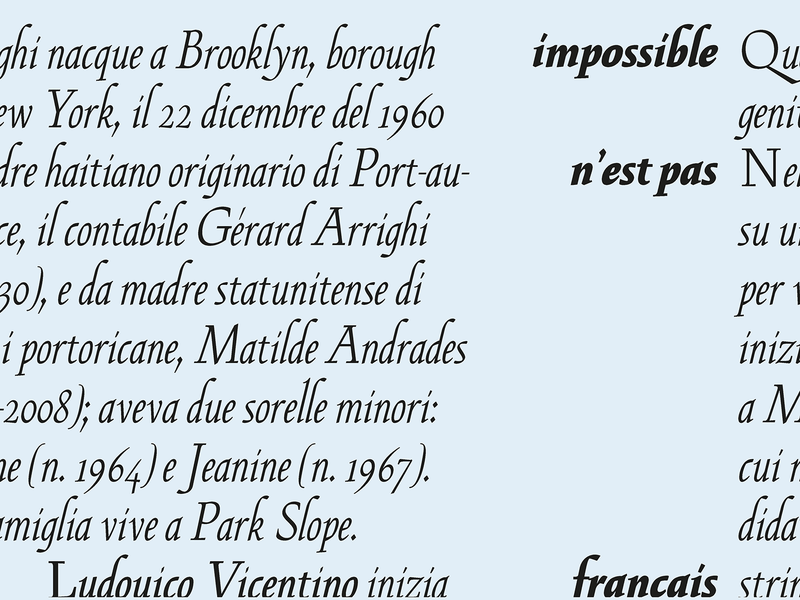 My brief was originally intended to design a roman counterpart to the style of the Arrighi italics. Although, soon it became clear that in order to understand the style, I had to create it first. So I started designing italics. 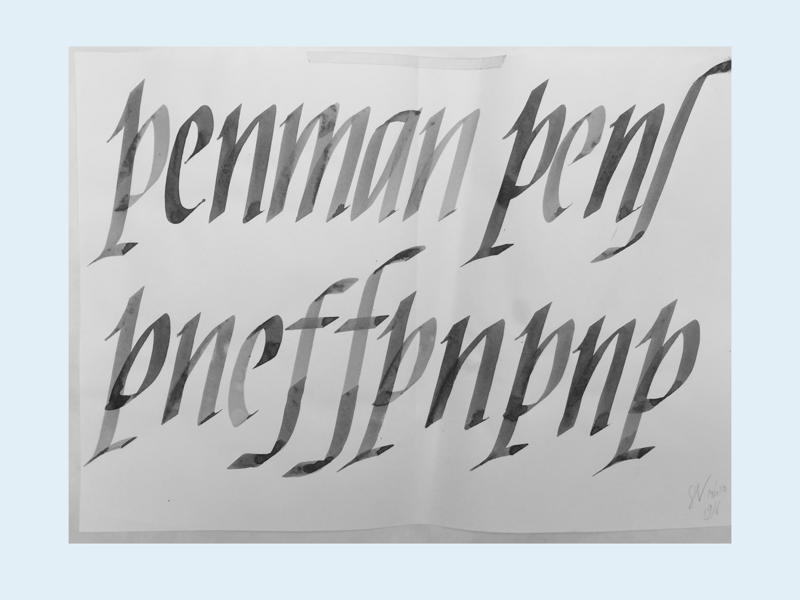 The approach was the same as the first week at TypeParis because I started with calligraphy. Learning how the stems, intersections and terminals are created. And more importantly; how the rhythm of the pen allows for a really narrow and vertical texture that creates this really specific style. Moving on to tracing paper, first the tracings were too closely related to the calligraphy. There wasn’t really an interpretation of the shapes, rather just a tracing. But the calligraphy really helped me to find some nice details that eventually making it to the final designs. 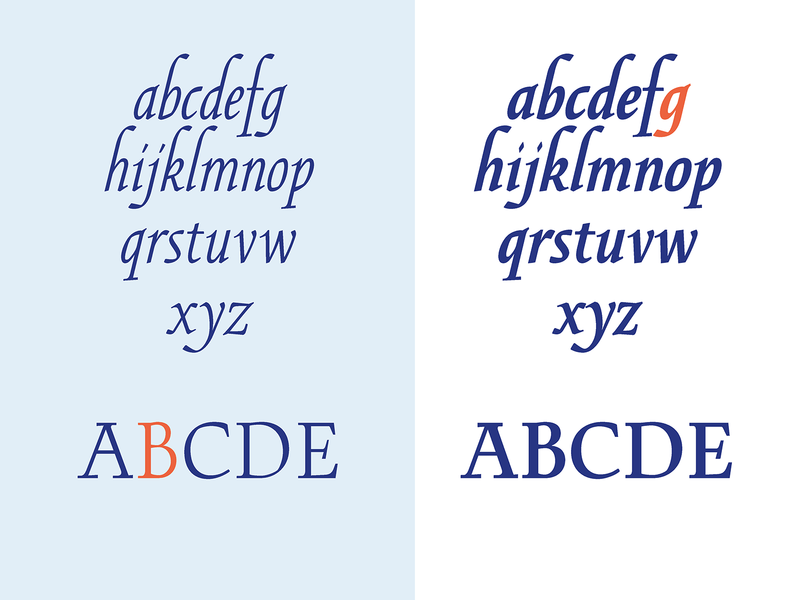 The first one was the a-symmetrical serif on the descender of the p that also shifts in weight. One thing that also was a nice detail early in the process were the oblique counters that my letters had. By slightly increasing the width of my tracings and finding a balance in still being narrow, this detail of the oblique counters created a nice vertical flow to the design. The oblique angle together with these counters also created a tension between the outside and the inside. The outside is rounded, the counters are angular which made a nice tension and juxtaposition between something feeling fluent, rhythmical, vertical and something that is constructed, grounded and horizontal. 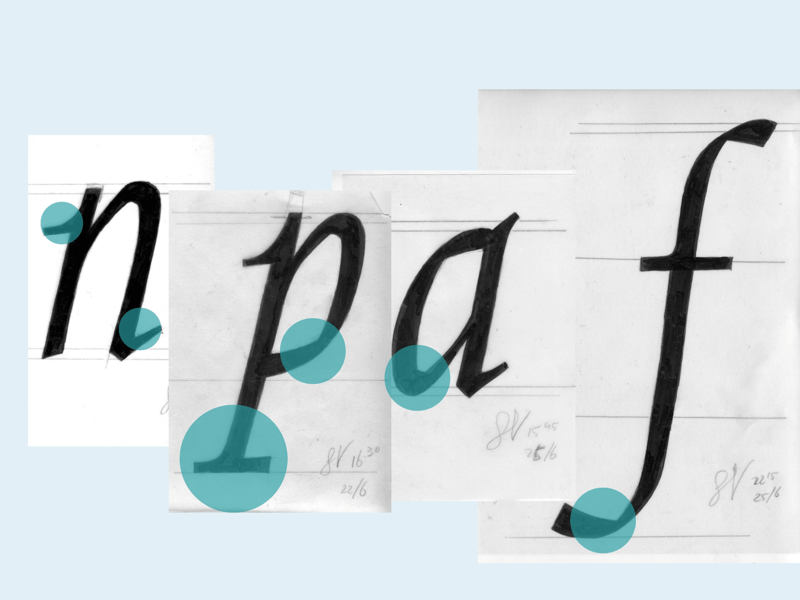 After finding the balance between these stylistic elements on paper, the digitalizing began which presented me with the reason why people often don’t start learning typedesign with italics. The point placement isn’t as logical as a horizontal / vertical kind of approach like one would often find in a roman. Being the first time I designed anything in Glyphs it presented quite the challenge. Creating curves is easy, creating nice curves that make sense isn’t. This was really a “You have to put in the hours” kind of approach just to be able to train your eyes to see what is beautiful and what isn’t. For the caps I decided to stick to the source and create Roman upright capitals. Back in the early 1600’s there were no true Italic Caps. Stylistically this later on presented a spacing problem but this was taken care of by creating slanted versions of these. In running text these work a lot better and don’t create full stops. After finishing the regular weight, I originally intended to design the roman counterpart. But talking with Jean François and the other teachers I decided to take a different route. Designing a black version of these narrow italics. This would offer a better learning opportunity, being able to interpolate and create different weights of the masters. And this turned out to be the best approach I could have chosen. The black version pushed me to see my curves from a new perspective, simple because there is that much more meat on the letters. It was far from easy, narrowing the already narrow counters, still being legible and stylistically connected to the Regular. In the end I finished the alphabet for both in order to inter- and extrapolate a Medium, Bold and Heavy. 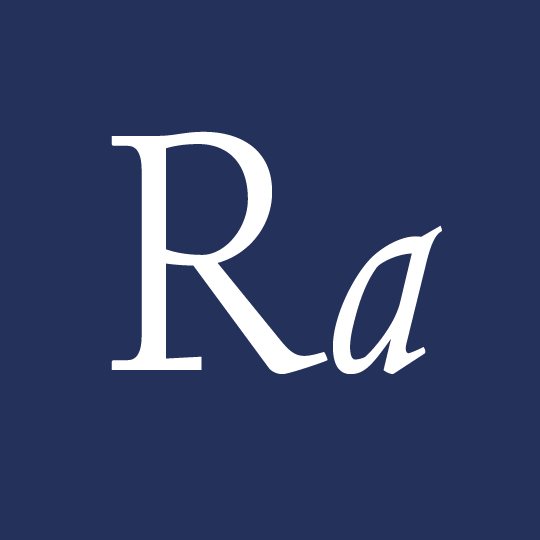 I created some ligatures and started on designing the roman lowercase as a future exploration. The future allows for many more directions to go (true Italic Caps , Swashed Caps, many more alternative letters etc. etc. etc.) which will probably take a lifetime. But after these 5 weeks, I am ready for the next 50. I want to thank Jean François, Dave, Mathieu, Julien, Marc, Xavier and all of the guest lecturers that made these 5 weeks possible and pushing me and the group to the limits of our capabilities. Thank you and see you guys next year!